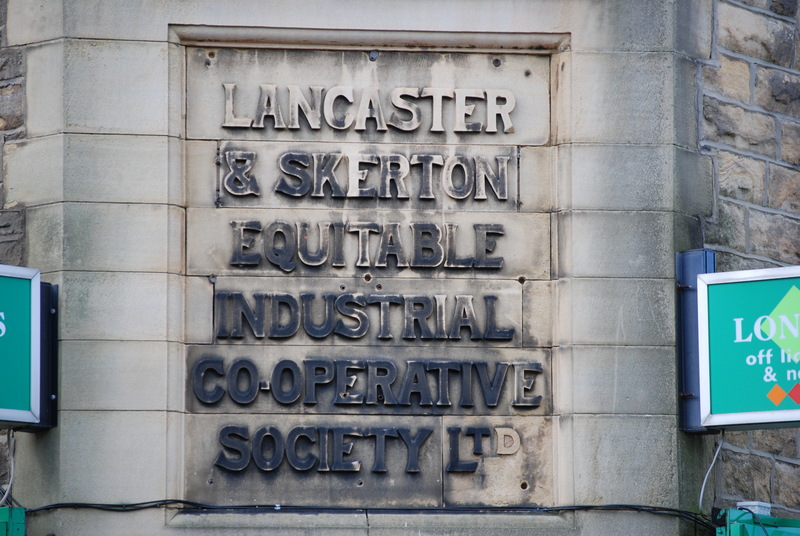 The Lancaster & Skerton Equitable Industrial Co-operative Society, Argyle St., Lancaster. One of a number of varied signs on the frontage of these small Co-op stores in Lancaster. This example is set in relief. This entry was posted in Lancaster, Letterform, Numerals and tagged architectural, commercial, Lancaster, relief, serif, stone, uk. Bookmark the permalink.